WARREN SHOCKER! DEMANDS TRUMP DNA, ASKS IVANKA "WHO'S YOUR DADDY?" 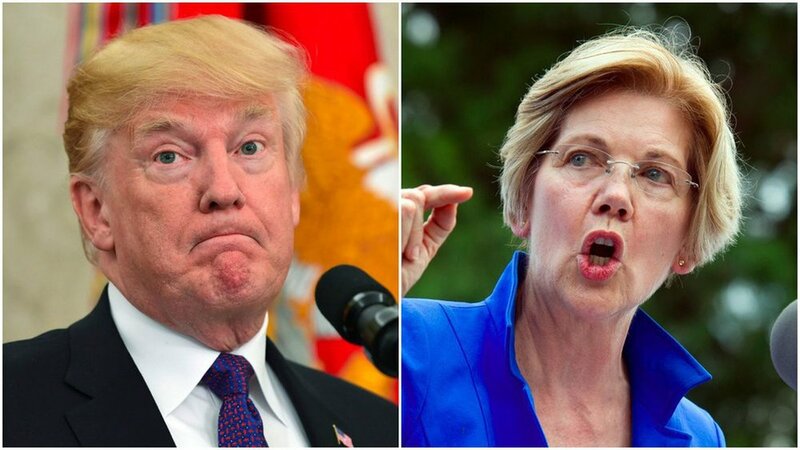 Newly-declared Dem White House hopeful Elizabeth Warren doubled down on today’s shocking admissions with a series of even more startling allegations and demands. This morning an Iowa voter brought up an episode the Bay State progressive probably wished forgotten by asking why Warren had caved to her likely opponent’s demand that she take a DNA test. In response, Warren flabbergasted her audience by conceding that she was not, in fact, a person of color. She further stunned the still-reeling crowd with a barrage of accusations and demands. “But speaking of fake, let’s get hold of your DNA, Donnie. ‘Cause you know what I think? There’s a lot going on there that’s crookeder than your tax returns! I mean, you look at you and those kids of yours, you know someone peed in your gene pool. Brother and sister grandparents? Who knows—but Eric and Donnie Junior look like tapeworms and Tiffany, well, Tiffy should be hanging onto a crack stem behind the WalMart. And talking about the boy, that’s just mean, so I won’t. A Trump spokesman, speaking on condition of anonymity, declined comment. Older PostTRUMP TO BASE: I'M A FAT IDIOT--JUST LIKE YOU!